This article is about replacement of psychiatric hospitals. For the replacement of orphanages, see Deinstitutionalisation (orphanages and children's institutions). Deinstitutionalisation (or deinstitutionalization) is the process of replacing long-stay psychiatric hospitals with less isolated community mental health services for those diagnosed with a mental disorder or developmental disability. In the late 20th century, it led to the closure of many psychiatric hospitals, as patients were increasingly cared for at home or in halfway houses, clinics and regular hospitals. Deinstitutionalisation works in two ways. The first focuses on reducing the population size of mental institutions by releasing patients, shortening stays, and reducing both admissions and readmission rates. The second focuses on reforming psychiatric care to reduce (or avoid encouraging) feelings of dependency, hopelessness and other behaviors that make it hard for patients to adjust to a life outside of care. The movement to reduce institutionalisation was met with wide acceptance in Western countries, though its effects have been the subject of many debates. Critics of the policy include defenders of the previous policies as well as those who believe the reforms did not go far enough to provide freedom to patients. Franco Basaglia, a leading Italian psychiatrist who inspired and was the architect of the psychiatric reform in Italy, also defined mental hospital as an oppressive, locked and total institution in which prison-like, punitive rules are applied, in order to gradually eliminate its own contents, and patients, doctors and nurses are all subjected (at different levels) to the same process of institutionalism. Other critics went further and campaigned against all involuntary psychiatric treatment. In 1970, Goffman worked with Thomas Szasz and George Alexander to found the American Association for the Abolition of Involuntary Mental Hospitalisation (AAAIMH), who proposed abolishing all involuntary psychiatric intervention, particularly involuntary commitment, against individuals. The association provided legal help to psychiatric patients and published a journal, The Abolitionist, until it was dissolved in 1980. The prevailing public arguments, time of onset, and pace of reforms varied by country. Leon Eisenberg lists three key factors that led to deinstitutionalisation gaining support. The first were socio-political campaigns for the better treatment of patients. Some of these were spurred on by institutional abuse scandals in the 1960s and 1970s, such as Willowbrook State School in the United States and Ely Hospital in the United Kingdom. Other incentives were that new psychiatric medications made it more feasible to release people into the community, and the argument that community services would be cheaper. Mental health professionals, public officials, families, advocacy groups, public citizens, and unions held differing views on deinstitutionalisation. Community services that developed include supportive housing with full or partial supervision and specialised teams (such as assertive community treatment and early intervention teams). Costs have been reported as generally equivalent to inpatient hospitalisation, even lower in some cases (depending on how well or poorly funded the community alternatives are). Although deinstitutionalisation has been positive for the majority of patients, it also has shortcomings. Criticism of deinstitutionalisation takes two forms. Some, like E. Fuller Torrey, defend the use of psychiatric institutions and conclude that deinstitutionalisation was a move in the wrong direction. Others, such as Walid Fakhoury and Stefan Priebe argue that it was an unsuccessful move in the right direction, suggesting that modern day society faces the problem of "reinstitutionalisation". While coming from opposite viewpoints, both sets of critics argue that the policy left many patients homeless or in prison. Leon Eisenberg has argued that deinstitutionalisation was generally positive for patients, while noting that some were left homeless or without care. New community services are often uncoordinated and unable to meet complex needs. Services in the community sometimes isolate the mentally ill within a new ghetto, where service users meet each other but have little contact with the rest of the public community. Fakhoury and Priebe said that instead of "community psychiatry", reforms established a "psychiatric community". Families can often play a crucial role in the care of those who would typically be placed in long-term treatment centres. However, many mentally ill people are resistant to such help due to the nature of their conditions. The majority of those who would be under continuous care in long-stay psychiatric hospitals are paranoid and delusional to the point that they refuse help, believing they do not need it, which makes it difficult to treat them. The cost per medicated capita is lower for deinstititutionalized patients than it is if the medication is only given to people in mental hospitals, as the cost of hospitalization is much higher than the cost of the psychiatric medication itself. There was also an increase in prescriptions of psychiatric medication in the years following deinstitutionalization; while the prescribed drugs themselves were substances that had already been used in mental hospitals for years before deinstitutionalization (although in lower quantities than after it). Researchers studying the history of psychiatry theorize that lower costs per capita for medication allowed production of higher amounts of psychiatric drugs and also made such drugs a profitable industry, allowing for increased investment into development of new drugs and expanded marketing. This created economic incentives to increase the frequency of psychiatric diagnosis that were not present in the era of costly hospitalized psychiatry. It is cited that in most countries (except some countries that are either in extreme poverty or are hindered from importing psychiatric drugs by their customs regulations), more than 10% of the population (more than 15% in some countries such as the United Kingdom) are currently prescribed heavy psychiatric medicines such as SSRIs or antipsychotics (these figures preclude lighter psychiatric medications such as amphetamine-like ADHD medication). These researchers argue that the empirical data makes it mathematically impossible for psychiatric medication to be almost exclusively prescribed to people who medically require it (or for such medication to be, in fact, under-prescribed) unless most of the population is mentally ill, contradicting common psychiatric understanding of non-normative illness. It is also argued that consent to psychiatric treatment on the part of the patient is dubious, as refusal to take medication can be classified as a symptom of "lack of insight" or "paranoia" leading to heavier diagnoses and involuntary commitment. However, sufficient numbers of people refusing because of the sentiment that they have nothing to lose since "voluntarily" taking the drugs would give the adverse drug reaction type of iatrogenic effects anyway could change it due to there not being enough involuntary commitment places for larger numbers of refusers. It is further argued that the classification of patient beliefs contrary to psychiatric theories as a mode of self-deception prevent empirical data garnered from psychiatric patients from having an effect on the theories, raising questions about the falsifiability of psychiatric theories. In some countries[specify] where deinstitutionalisation has occurred, "re-institutionalisation", or relocation to different institutions, has begun, as evidenced by increases in the number of supported housing facilities, forensic psychiatric beds, and the growing prison population. Some developing European countries[specify] still rely on asylums. The water tower of Park Prewett Hospital in Basingstoke, Hampshire. The hospital was redeveloped into a housing estate after its closure in 1997. In the United Kingdom, the trend towards deinstitutionalisation began in the 1950s. At the time, 0.4% of the population of England were housed in asylums. The government of Harold Macmillan sponsored the Mental Health Act 1959, which removed the distinction between psychiatric hospitals and other types of hospitals. 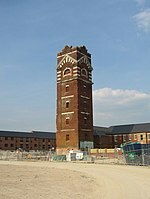 Enoch Powell, the Minister of Health in the early 1960s, criticized psychiatric institutions in his 1961 "Water Tower" speech and called for most of the care to be transferred to general hospitals and the community. The campaigns of Barbara Robb and several scandals involving mistreatment at asylums (notably Ely Hospital) furthered the campaign. The Ely Hospital scandal led to an inquiry led by Brian Abel-Smith and a 1971 white paper that recommended further reform. The policy of deinstitutionalisation came to be known as Care in the Community at the time it was taken up by the government of Margaret Thatcher. Large-scale closures of the old asylums began in the 1980s. By 2015, none remained. The former St Elizabeth's Hospital in 2006, closed and boarded up. 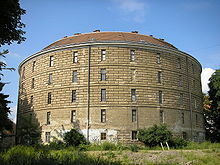 The hospital had been one of the sites of the Rosenhan experiment in the 1970s. The United States has experienced two main waves of deinstitutionalisation. The first wave began in the 1950s and targeted people with mental illness. The second wave began roughly 15 years later and focused on individuals who had been diagnosed with a developmental disability. Loren Mosher argues that deinstitutionalisation fully began in the 1970s and was due to financial incentives like SSI and Social Security Disability, rather than after the earlier introduction of psychiatric drugs. The most important factors that led to deinstitutionalisation were changing public attitudes to mental health and mental hospitals, the introduction of psychiatric drugs and individual states' desires to reduce costs from mental hospitals. The federal government offered financial incentives to the states to achieve this goal. Stroman pinpoints World War II as the point when attitudes began to change. In 1946, Life magazine published one of the first exposés of the shortcomings of mental illness treatment. Also in 1946, Congress passed the National Mental Health Act of 1946, which created the National Institute of Mental Health (NIMH). NIMH was pivotal in funding research for the developing mental health field. President John F. Kennedy had a special interest in the issue of mental health because his sister, Rosemary, had incurred brain damage after being lobotomised at the age of 23. His administration sponsored the successful passage of the Community Mental Health Act, one of the most important laws that led to deinstitutionalization. The movement continued to gain momentum during the Civil Rights Movement. The 1965 amendments to Social Security shifted about 50% of the mental health care costs from states to the federal government, motivating state governments to promote deinstitutionalization. The 1970s saw the founding of several advocacy groups, including Liberation of Mental Patients, Project Release, Insane Liberation Front, and the National Alliance on Mental Illness (NAMI). The 1970s saw some key court rulings that increased the rights of patients, due to lawsuits from these advocacy groups. In 1973, a federal district court ruled in Souder v. Brennan that patients in mental health institutions must be considered employees and paid the minimum wage required by the Fair Labor Standards Act of 1938 whenever they performed any activity that conferred an economic benefit on an institution. Following this ruling, institutional peonage was outlawed. In 1975, the U.S. Supreme Court restricted the rights of states to incarcerate someone who was not violent. This was followed up with a 1978 ruling further restricting states from confining anyone involuntarily for mental illness. In 1975, the United States Court of Appeals for the First Circuit ruled in favour of the Mental Patient's Liberation Front of Rogers v. Okin, establishing the right of a patient to refuse treatment. Later reforms included the Mental Health Parity Act, which required health insurers to give mental health patients equal coverage. Other factors include scandals. A 1972 television broadcast exposed the abuse and neglect of 5,000 patients at the Willowbrook State School in Staten Island, New York. 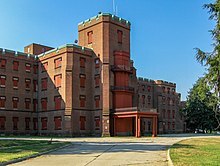 The Rosenhan's experiment in 1973 caused several psychiatric hospitals to fail to notice fake patients who showed no symptoms once they were institutionalized. The pitfalls of institutionalization were dramatized in an award-winning 1975 film, One Flew Over the Cuckoo's Nest. In several South American countries,[specify], such as in Argentina, the total number of beds in asylum-type institutions has decreased, replaced by psychiatric inpatient units in general hospitals and other local settings. ^ a b c d e f g h i j k Stroman, Duane (2003). The Disability Rights Movement: From Deinstitutionalization to Self-determination. University Press of America. ^ a b c d e Eisenberg, Leon; Guttmacher, Laurence (August 2010). "Were we all asleep at the switch? A personal reminiscence of psychiatry from 1940 to 2010". Acta Psychiatrica Scandinavica. 122 (2): 89–102. doi:10.1111/j.1600-0447.2010.01544.x. PMID 20618173. ^ Torrey, E. Fuller (Summer 2010). "Documenting the failure of deinstitutionalisation". Psychiatry. 73 (2): 122–4. doi:10.1521/psyc.2010.73.2.122. PMID 20557222. ^ Szasz, Thomas (2007). Coercion as cure: a critical history of psychiatry. Transaction Publishers. p. 34. ISBN 978-0-7658-0379-5. ^ Wright D (April 1997). "Getting out of the asylum: understanding the confinement of the insane in the nineteenth century". Social History of Medicine. 10 (1): 137–55. doi:10.1093/shm/10.1.137. PMID 11619188. ^ a b c d e f g h i Fakhourya, W; Priebe, S (August 2007). "Deinstitutionalisation and reinstitutionalisation: major changes in the provision of mental healthcare". Psychiatry. 6 (8): 313–316. doi:10.1016/j.mppsy.2007.05.008. ^ Mac Suibhne, Séamus (7 October 2009). "Asylums: Essays on the Social Situation of Mental Patients and other Inmates". British Medical Journal. 339: b4109. doi:10.1136/bmj.b4109. ^ a b c Tansella, M. (November 1986). "Community psychiatry without mental hospitals—the Italian experience: a review". Journal of the Royal Society of Medicine. 79 (11): 664–669. PMC 1290535. PMID 3795212. ^ Fischer, Constance; Brodsky, Stanley (1978). Client Participation in Human Services: The Prometheus Principle. Transaction Publishers. p. 114. ISBN 978-0878551316. ^ Szasz, Thomas (1971). "To the editor". American Journal of Public Health. 61 (6): 1076. doi:10.2105/AJPH.61.6.1076-a. ^ Szasz, Thomas (1 June 1971). "American Association for the Abolition of Involuntary Mental Hospitalization". American Journal of Psychiatry. 127 (12): 1698. doi:10.1176/ajp.127.12.1698. PMID 5565860. ^ a b Schaler, Jeffrey, ed. (2004). Szasz Under Fire: A Psychiatric Abolitionist Faces His Critics. Open Court Publishing. pp. xiv. ISBN 978-0812695687. ^ Aut aut (in Italian). Il Saggiatore. 2011. p. 166. ISBN 978-8865761267. ^ Rochefort, D.A. (Spring 1984). "Origins of the "Third psychiatric revolution": the Community Mental Health Centers Act of 1963". Journal of Health Politics, Policy and Law. 9 (1): 1–30. doi:10.1215/03616878-9-1-1. PMID 6736594. ^ Scherl, D.J. ; Macht, L.B. (September 1979). "Deinstitutionalization in the absence of consensus". Hosp Community Psychiatry. 30 (9): 599–604. doi:10.1176/ps.30.9.599. PMID 223959. Archived from the original on 2012-01-06. ^ Torrey, Dr. E. Fuller. "250,000 Mentally Ill are Homeless. The number is increasing". Mental Illness Policy Org. Retrieved 6 August 2015. ^ Torrey, E. Fuller (2008). The insanity offense: how America's failure to treat the seriously mentally ill endangers its citizens (1st ed.). New York: W.W. Norton. ISBN 978-0-393-06658-6. ^ Teplin, Linda A; McClelland, Gary M; Abram, Karen M; Weiner, Dana A (August 2005). "Crime Victimisation in Adults With Severe Mental Illness: Comparison With the National Crime Victimisation Survey". Archives of General Psychiatry. 62 (8): 911–21. doi:10.1001/archpsyc.62.8.911. PMC 1389236. PMID 16061769. ^ Petersilia, Joan R (2001). "Crime Victims With Developmental Disabilities: A Review Essay". Criminal Justice and Behavior. 28 (6): 655–94. doi:10.1177/009385480102800601. ^ Steadman, Henry J; Mulvey, Edward P.; Monahan, John; Robbins, Pamela Clark; Appelbaum, Paul S; Grisso, Thomas; Roth, Loren H; Silver, Eric (May 1998). "Violence by people discharged from acute psychiatric inpatient facilities and by others in the same neighborhoods". Archives of General Psychiatry. 55 (5): 393–401. doi:10.1001/archpsyc.55.5.393. PMID 9596041. ^ Sirotich, F. (2008). "Correlates of Crime and Violence among Persons with Mental Disorder: An Evidence-Based Review". Brief Treatment and Crisis Intervention. 8 (2): 171–94. doi:10.1093/brief-treatment/mhn006. ^ Stuart, H. (June 2003). "Violence and mental illness: an overview". World Psychiatry. 2 (2): 121–4. PMC 1525086. PMID 16946914. ^ Taylor, P.J. ; Gunn, J. (January 1999). "Homicides by people with mental illness: Myth and reality". Br J Psychiatry. 174 (1): 9–14. doi:10.1192/bjp.174.1.9. PMID 10211145. ^ Solomon, Phyllis L.; Cavanaugh, Mary M.; Gelles, Richard J. (January 2005). "Family violence among adults with severe mental illness: a neglected area of research". Trauma, Violence, & Abuse. 6 (1): 40–54. doi:10.1177/1524838004272464. PMID 15574672. ^ Anthony Kales, Chester M. Pierce, Milton Greenblatt (2012) "The Mosaic of Contemporary Psychiatry in Perspective"
^ Ming T. Tsuang, Mauricio Tohen, Peter Jones (2011) "Textbook of Psychiatric Epidemiology"
^ "Report of the Confidential Forum for Former In-Patients of Psychiatric Hospitals". Department of Internal Affairs, New Zealand Government. June 2007. Archived from the original on 2012-04-21. Retrieved 2012-05-20. ^ Priebe, Stefan; Badesconyi, Alli; Fioritti, Angelo; Hansson, Lars; Kilian, Reinhold; Torres-Gonzales, Francisco; Turner, Trevor; Wiersma, Durk (January 2005). "Reinstitutionalisation in mental health care: comparison of data on service provision from six European countries". British Medical Journal. 330 (7483): 123–6. doi:10.1136/bmj.38296.611215.AE. PMC 544427. PMID 15567803. ^ a b Russo, Giovanni; Carelli, Francesco (April 2009). "Dismantling asylums: The Italian Job" (PDF). London Journal of Primary Care. ^ a b "Dacia Maraini intervista Giorgio Antonucci" [Dacia Maraini interviews Giorgio Antonucci]. La Stampa (in Italian). 26 July 1978. ^ Burti L. (2001). "Italian psychiatric reform 20 plus years after". Acta Psychiatrica Scandinavica. Supplementum. 104 (410): 41–46. doi:10.1034/j.1600-0447.2001.1040s2041.x. PMID 11863050. ^ "Learning difficulties residential home scandals: the inside story and lessons from Longcare and Cornwall". Community Care. 10 January 2007. Retrieved 13 November 2013. ^ "Case study 1: Deinstitutionalisation in UK mental health services". The King's Fund. July 2015. ^ Mosher, Loren (1999). "Letter Mosher to Goodwin" (PDF). Psychology Today. 32 (5): 8. Archived from the original (PDF) on 2012-05-01. Retrieved 2012-10-22. ^ Kornblum, William (2011). Mitchell, Erin; Jucha, Robert; Chell, John (eds.). Sociology in a Changing World (9th ed.). Cengage learning. p. 195. ISBN 978-1-111-30157-6. Torrey, E. Fuller (1997). Out of the shadows: confronting America's mental illness crisis. New York: John Wiley. ISBN 978-0-471-16161-5. Taylor, S.J. ; Searl, S. (1987). "The disabled in America: History, policy and trends". In P. Knoblock (ed.). Understanding Exceptional Children and Youth. Boston: Little, Brown. pp. 5–64. Institute of Medicine (US) Committee on Health Care for Homeless People (1988). Homelessness, Health, and Human Needs. Washington, D.C: National Academy Press. p. 97. ISBN 978-0-309-03832-4. Rochefort, David A. (1993). From Poorhouses to Homelessness: Policy Analysis and Mental Health Care. Westport, Connecticut: Auburn House. ISBN 978-0-86569-237-4. Rudin, E.; McInnes, R.S. (July 1963). "Community Mental Health Services—Five Years of Operation Under the California Law". California Medicine. 99 (1): 9–11. PMC 1515154. PMID 13982995. Sharfstein, Steven S. (May 2000). "Whatever happened to community mental health?". Psychiatric Services. 51 (5): 616–20. doi:10.1176/appi.ps.51.5.616. PMID 10783179. Archived from the original on 2013-04-15. Apollonio, D.E. ; Malone, R.E. (December 2005). "Marketing to the marginalised: tobacco industry targeting of the homeless and mentally ill". Tobacco Control. 14 (6): 409–15. doi:10.1136/tc.2005.011890. PMC 1748120. PMID 16319365.